*Don't need all the details? Click here to see four easy steps to help prevent hearing loss. As the crowds get louder, musicians may turn up those monitors in order to hear their own notes. When one monitor grows louder, another musician might turn up another monitor in order to hear that person's notes. It can become a game of warring speakers, with hearing as the loser. People who work in construction build the roads, bridges, and highways that we rely on to get from place to place. They may also build the houses we live in and the offices we work in. Without this team of talented people, modern life wouldn't exist. The Occupational Safety and Health Administration recommends measuring construction noise with a sound level meter, and making sure that you wear protective equipment to keep your ears safe. But when you can't use a meter, the administration says, you can use the 2-to-3-foot rule. If you have to raise your voice for someone 2-to-3 feet away from you to hear you, the area is probably at or above 85 dB. Moving away from the source of the noise, or containing the noise with a temporary sound barrier, may be wise. When an emergency happens, first responders help us to recover. Often, they need to use sirens to clear traffic, so they can get to an emergency situation as it unfolds. According to NIH, a siren's volume can reach 120 dB. Someone who drives a vehicle with a siren blaring could be exposed to that noise for long periods every day. Restaurants weren't always so noisy. As an author writing for Vox points out, restaurants became much louder in the 1990s when a New York chef began pumping very loud music into the dining room to create a sense of excitement and bustle for customers. But customers may not appreciate the din, and that gives the staff the opportunity to open up a conversation about noise. Perhaps a trial night of lower volumes could help to inspire owners to turn down the sound dial a bit. If that doesn't work, staffers can consult with their union representatives and ask about noise protections. Headphones put the source of the sound very close to your ears, and that makes them quite dangerous. The National Health Service recommends listening to music at 60 percent of the device's maximum volume. Some devices allow you to preset them so you cannot make them any louder. 3. Don't be afraid to walk away. Protecting your hearing is vital, but it might also seem a little unusual. Your friends and family members may notice that you are wearing earplugs, steering clear of noisy environments, and otherwise working to protect your ears. Be open with them about your concerns, and share what you're doing to preserve your hearing. You may be able to convince them to do the same. Don't cover your mouth with your hands, and don't chew anything while you're talking. At Cloud Cover Music, we don't make protective devices that can protect your ears. We don't make hearing aids. Instead, we make it possible for businesses to play the music you want to hear in their offices, salons, restaurants, and other communal spaces. We hope this guide has been useful, as you look for ways to protect your hearing. And if you're looking for a partner to smooth the process of playing music in public, we'd love to talk with you. Please contact us. How the Ear Works. (2018). 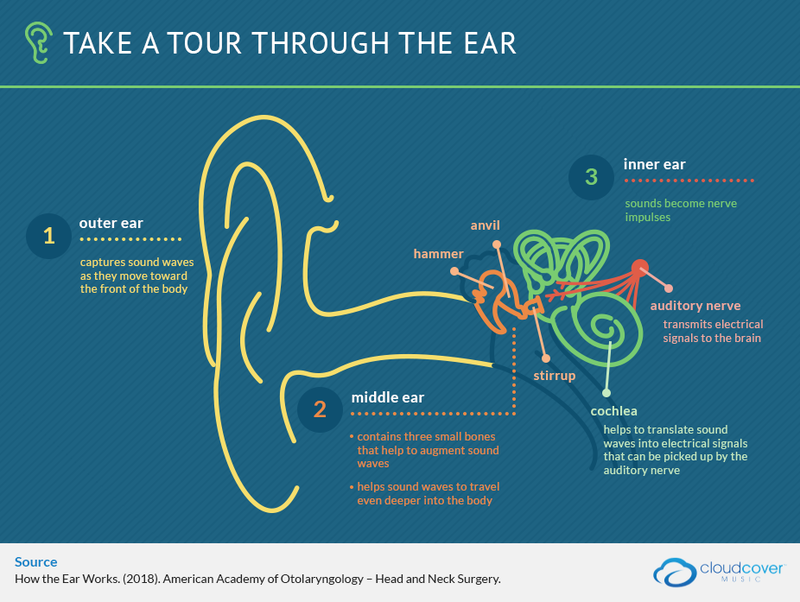 American Academy of Otolaryngology – Head and Neck Surgery. Noise-Induced Hearing Loss. (February 2017). National Institutes of Health. Deafness and Hearing Loss. (March 2018). World Health Organization. Quick Statistics About Hearing. (December 2016). National Institutes of Health. Statistics and Facts About Hearing Loss. Center for Hearing and Communication. The Real Sounds of Hearing Loss. (April 2013). National Public Radio. Five Things I Wish Everyone Knew About Hearing Loss. (January 2016). Living with Hearing Loss. 9 Women Share What It Feels Like to Lose Your Hearing. (October 2016). Prevention. Headphone Listening Habits and Hearing Thresholds in Swedish Adolescents. (May 2017). Noise and Health. Hearing Loss and Tinnitus Statistics. Hearing Health Foundation. Loud Noise Dangers. American Speech Language Hearing Association. AC/DC's Brian Johnson Gives Positive Update on Hearing Loss. (June 2016). Rolling Stone. A Hearing-Loss Lawsuit Raises Questions About Orchestras' Duty to Protect Musicians. (April 2018). The Economist. 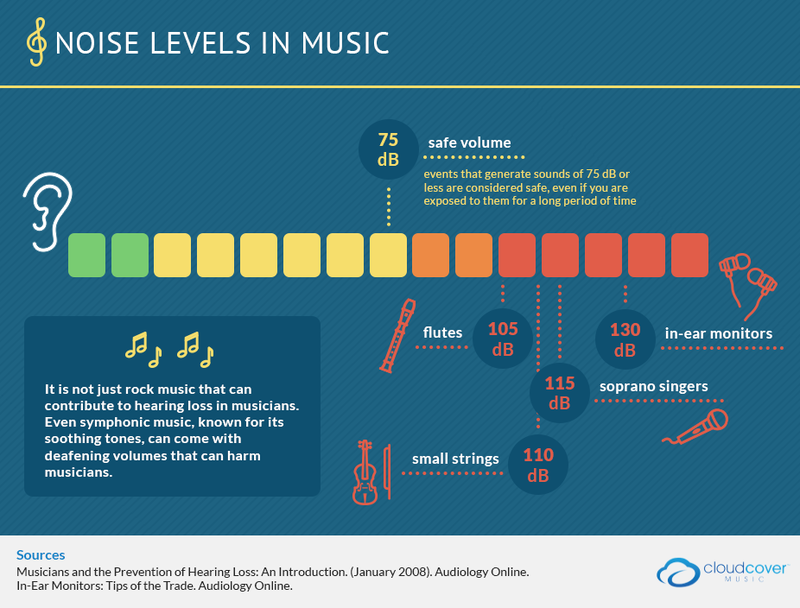 Musicians and the Prevention of Hearing Loss: An Introduction. (January 2008). 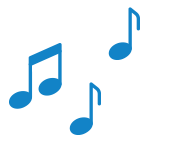 Audiology Online. In-Ear Monitors: Tips of the Trade. Audiology Online. Musicians' Hearing Protection: A Review. (2008). Health and Safety Executive. Family Farms Are the Focus of New Agriculture Census Data. (March 2015). U.S. Department of Agriculture. They're Your Ears. Protect Them. (2007). Department of Health and Human Services, Centers for Disease Control and Prevention, National Institute for Occupational Safety and Health. Protecting Yourself From Noise in Construction. Occupational Safety and Health Administration. 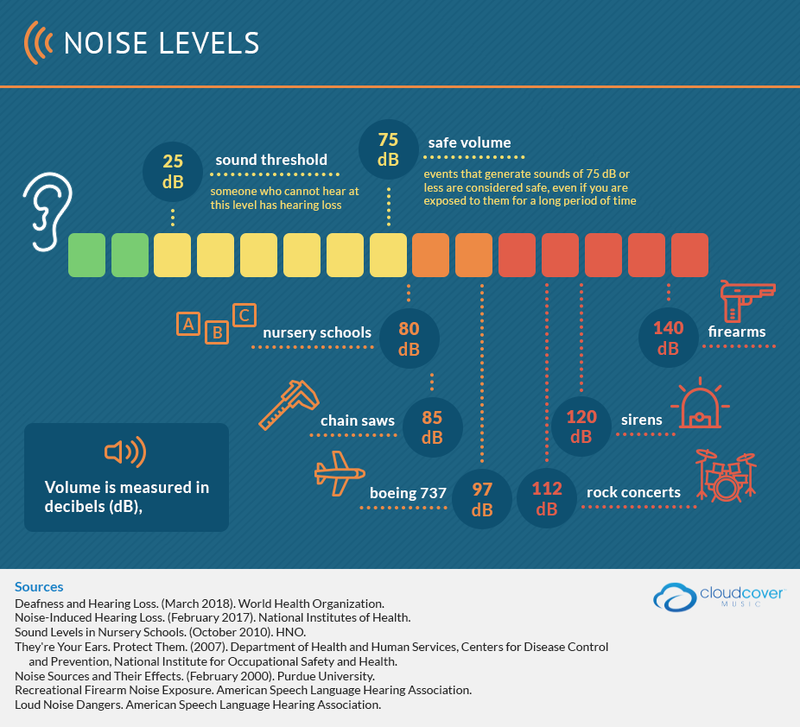 Sound Levels in Nursery Schools. (October 2010). HNO. Tips for Creating a Good Listening Environment in the Classroom. 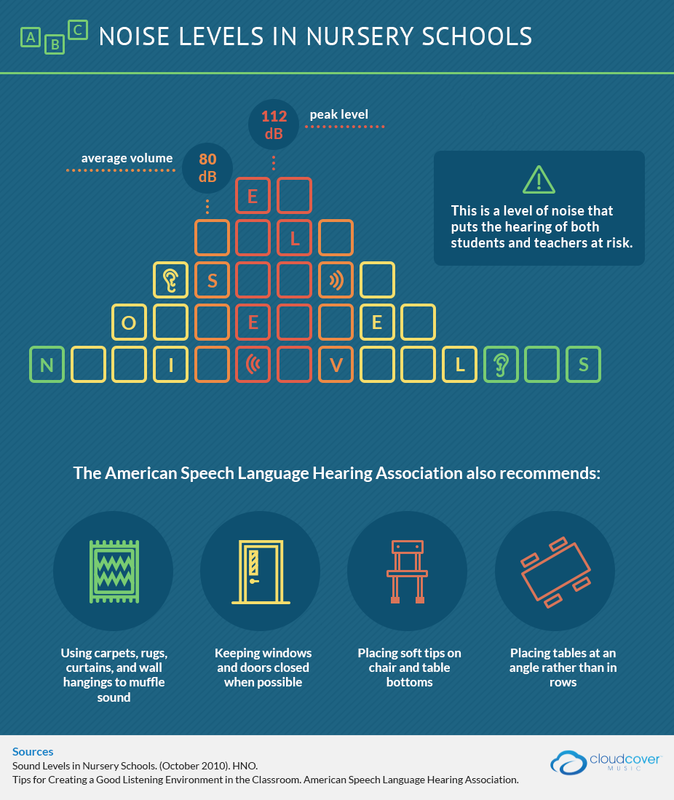 American Speech Language Hearing Association. Loudest Scream (Individual). Guinness World Records. Recreational Firearm Noise Exposure. American Speech Language Hearing Association. 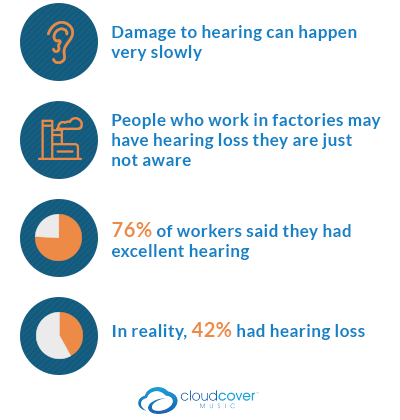 Prevalence of Hearing Loss and Accuracy of Self-Report Among Factory Workers. (2011). Noise and Health. Lots of High-Tech Factory Jobs in U.S., but Skilled Workers Are Lacking. (August 2017). The Seattle Times. Noise Sources and Their Effects. (February 2000). Purdue University. Hearing and Noise in Aviation. Federal Aviation Administration. Taking a Noise Snapshot at L.A. Restaurants. (August 2012). Los Angeles Times. Why Restaurants Became So Loud – And How to Fight Back. (July 2018). Vox. Hearing Loss Prevention. Better Hearing Institute. 5 Ways to Prevent Hearing Loss. National Health Service. Noise and Hearing Loss Prevention. (February 2018). Centers for Disease Control and Prevention. How Do I Prevent Hearing Loss From Loud Noise? (February 2017). Centers for Disease Control and Prevention. How to Communicate With a Person Who Has a Hearing Loss. Hearing Loss Association of America.